When they call it a nature park, it really is a natural paradise. Hacienda Tres Rios Resort Spa & Nature Park is located in the Playa del Carmen area of Riviera Maya in Quintana Roo, Mexico. From Cancun Int’l Airport, it’s approximately 45 minutes south. The resort is an all-inclusive, family friendly, eco-chic beachfront enclave overlooking the Caribbean Sea and is surrounded by mangroves and dense tropical greens intersected by three winding rivers. Ten cenotes (freshwater pools) are located on the property of Tres Ríos, as well as 120 species of plants and 131 species of animals. 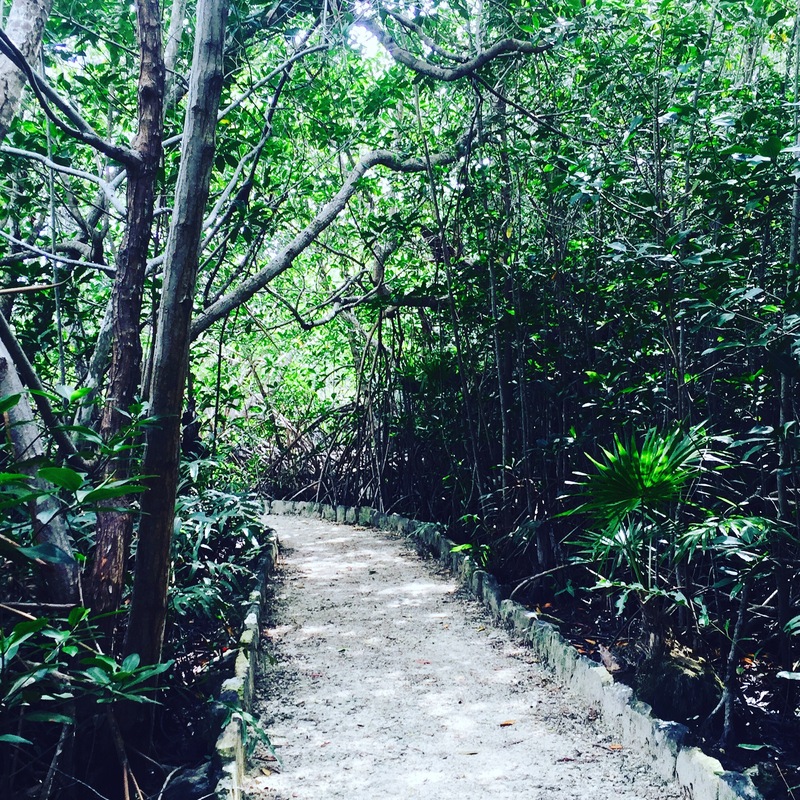 According to the resort, it is the only nature park on the Yucatan Peninsula that includes three distinct ecosystems; jungle, mangrove forest and coastal dunes. 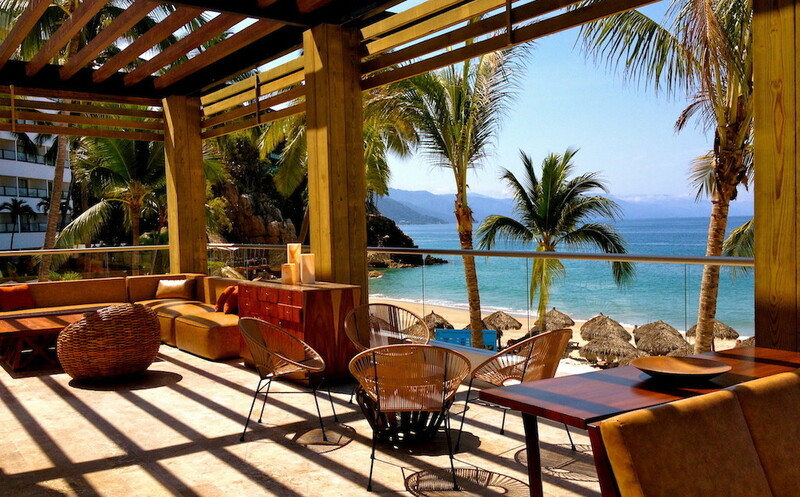 Hacienda Tres Rios is an ideal choice for those seeking as much relaxation, nature or activity as desired. And the most impressive highlights of the resort are the nature activities. The day after we checked into the hotel, we were given an activity guide which included a week of daily and hourly activities. 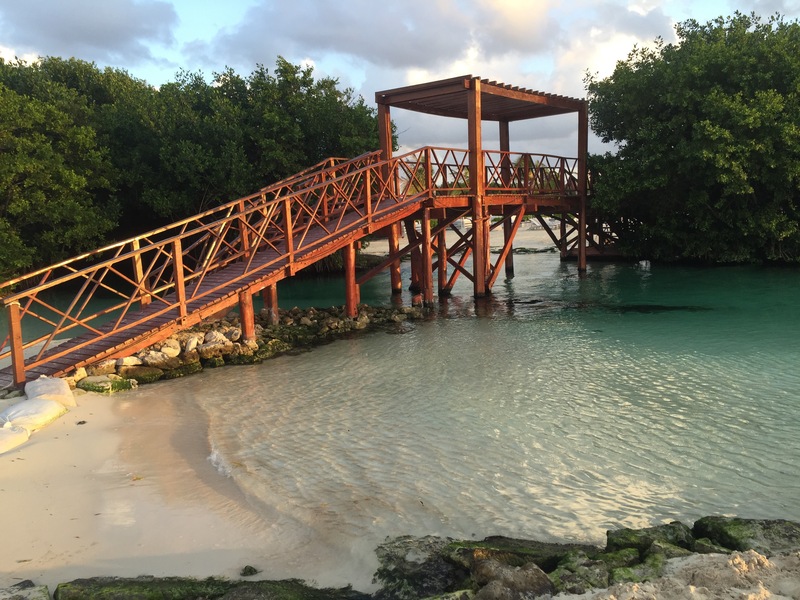 The resort also includes exclusive access to its nature park tours in its all-inclusive packages including: bike tour, X.Treme, snorkeling tour, kayak tour, sense adventure experience, nursery tour, Hobie cat tour, kitchen tour, machine room tour, and the Segway tour (extra cost). Their Kids Club has exciting activities for the little ones and the resort offers nightly entertainment. 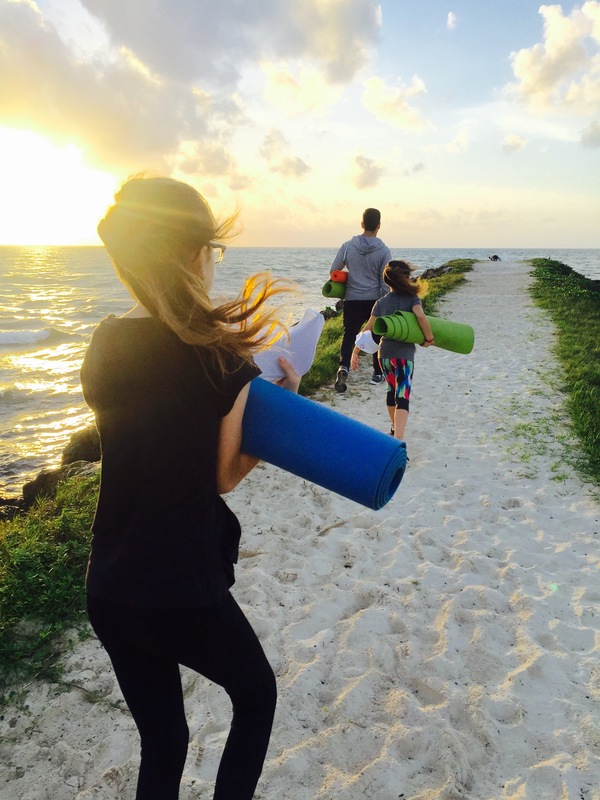 Yoga on the beach: Offered three days a week, morning yoga is offered to guests out on the long, narrow islet. My girls and I participated in the morning beach yoga for a soul-enriching experience. 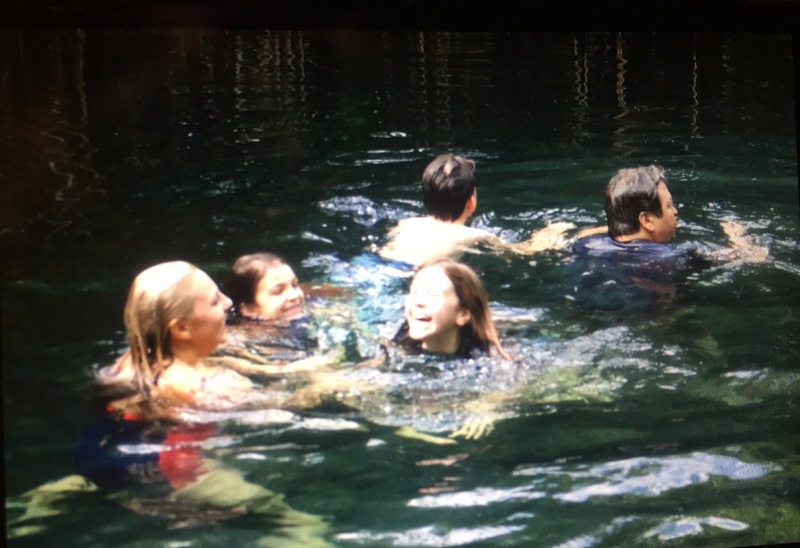 Cenote Snorkel Tour: Offered up to five times daily, this activity includes transportation to on site Cenote Aguila (about two minutes distance) where you snorkel and swim down the Rio Selva to the ocean. Fresh water centote swim with the Najera family. 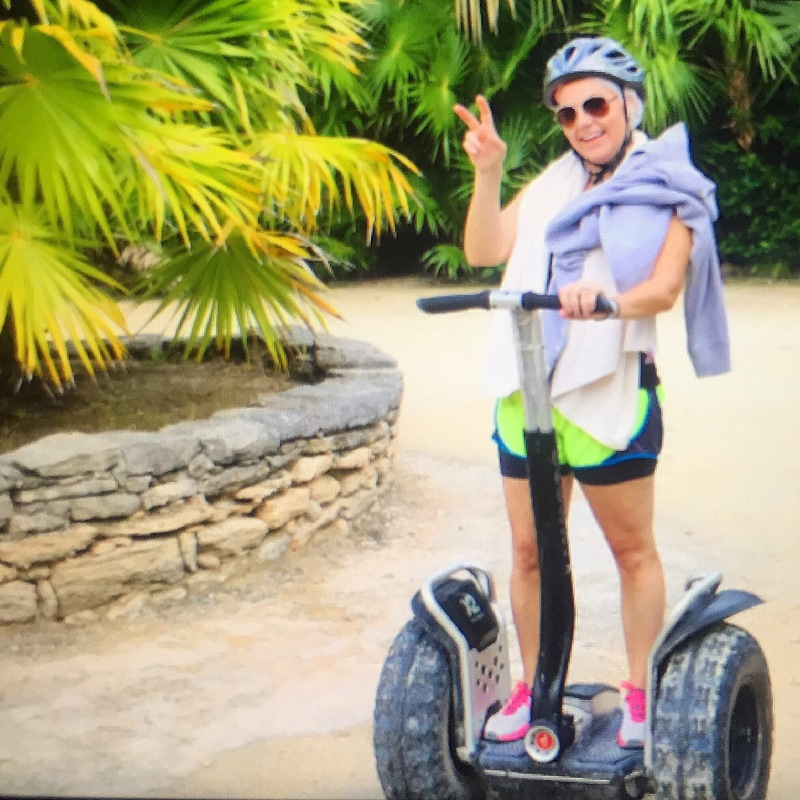 Segway jungle tour was one of our favorites activities. Sense Adventure Experience: Offered up to three times a day, Sunday through Friday, this tour takes a very small group on a blindfolded sensory tour, stimulating sight, sound, taste and feeling. 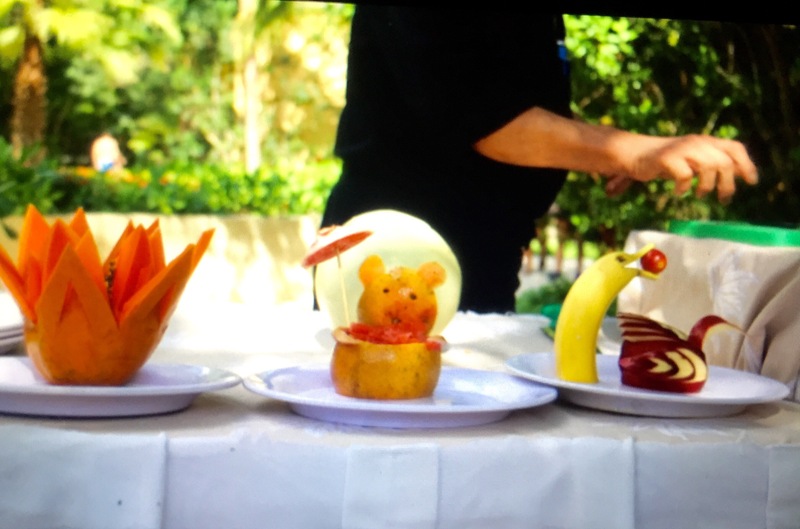 Fruit carving: Although this class is only offered one time a week, it was exciting to learn new ways to be creative with fruit presentation. 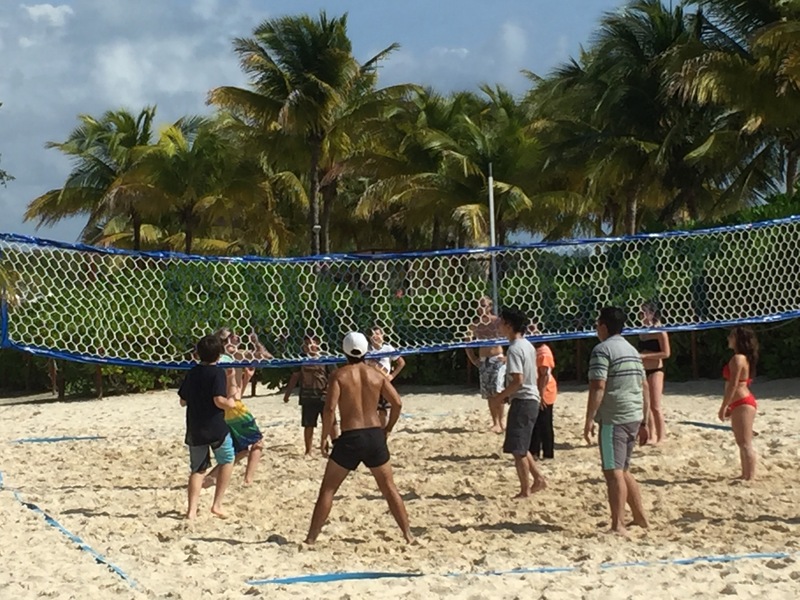 Beach volleyball: Games are offered up to seven times a week and are a great way to create some immediate new friendships. 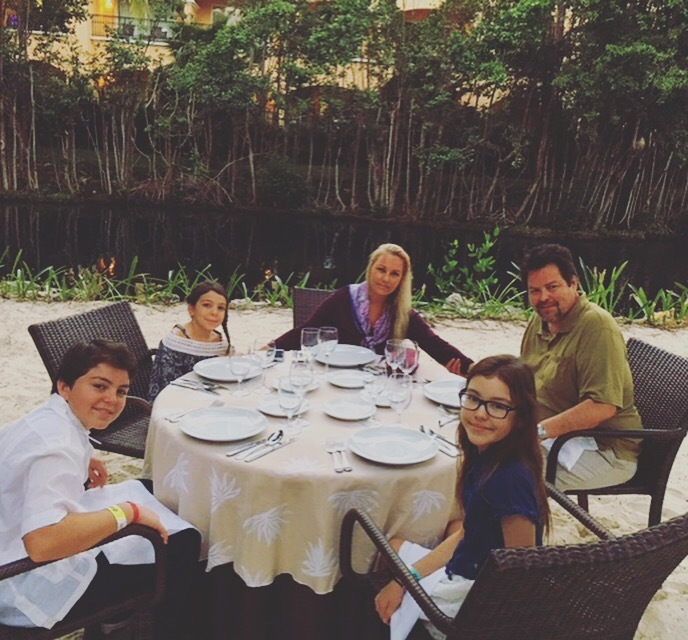 We also participated in and loved kayaking in the cenote, swimming in the intersection where the river meets the sea, attending a spectacular evening Mayan show and dining on the beach in a private Luna Maya experience. All three of our kids also painted ceramics. 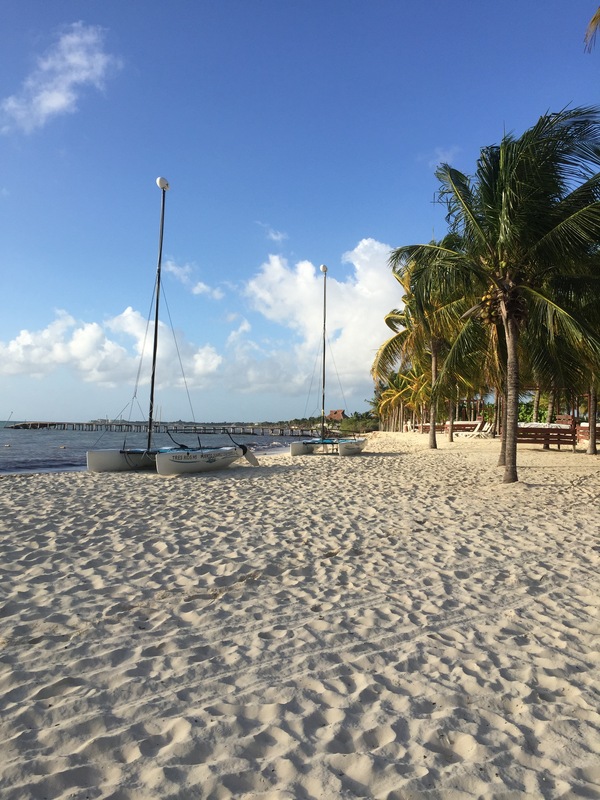 The Hobie Cat tour with lesson, sushi making class, towel folding, Yucatan flavors, Mexican cooking class, lobby jogging, salsa lessons, Spanish lessons, soccer/futbol on the beach, crossfit (and plenty more). 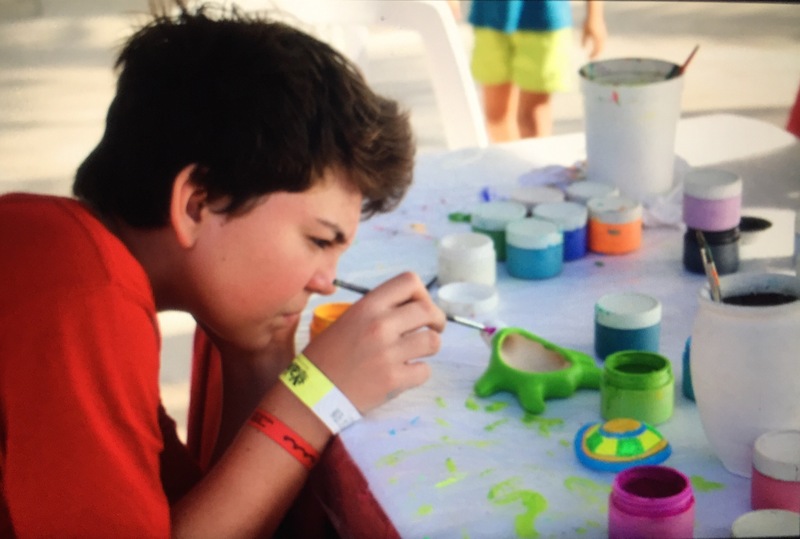 There are so many activities, classes and experiences to enjoy and share with your family while on vacation at Tres Rios. I highly recommend this resort as one of the best choices to create the most memorable, life-long memories while connecting with nature. To check out the resort, visit http://www.haciendatresrios.com. Thanks for the link. I will be excited to put this together for the family. Hope you have a GREAT 2017. I am still in Penasco. Planning on possibly taking my family ( 6 adults + 4 grandkids) there Dec 2017. What rype of room layout would you suggest? Thanks for this, Susie. Just today I had a friend ask me for a family-friendly spot near Playa del Carmen and I was able to share your info with her. It looks great! Fantastic! Let me know if she plans on booking there and I can put in a good word!